On this page you can learn something about jitter, why it exists, how it is generated and what you can do to avoid it. Although jitter or clock-jitter is a problem in many different technical areas, jitter.de is exclusively dedicated to jitter-related problems concerning audio reproduction and recording. So if you are into high-end audio or high-quality audio recording or broadcasting, you may find some answers or new perspectives for your application. 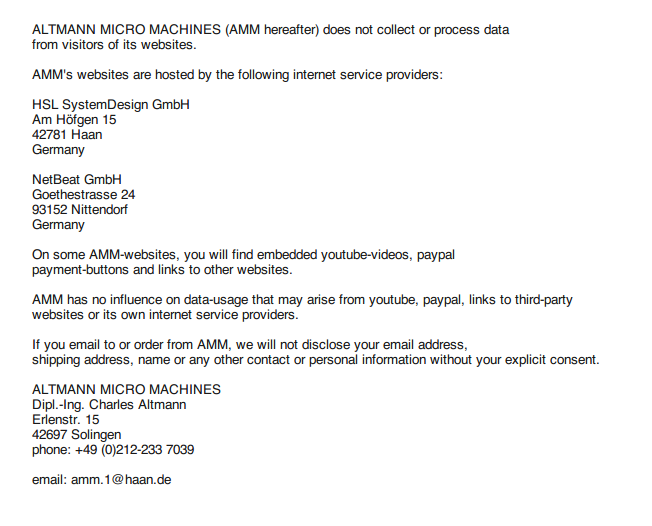 www.jitter.de is published by Altmann Micro Machines, a german manufacturer of audio equipment, phone +49-212-233-7039. More Altmann audio products can also be found at the Mother-of-Tone.